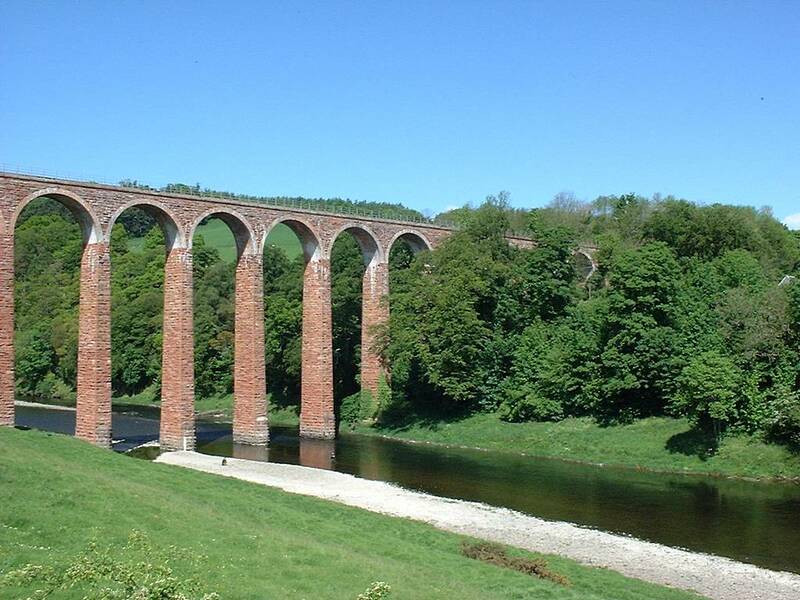 Leaderfoot Viaduct can be found in the Scottish Borders, near Melrose. 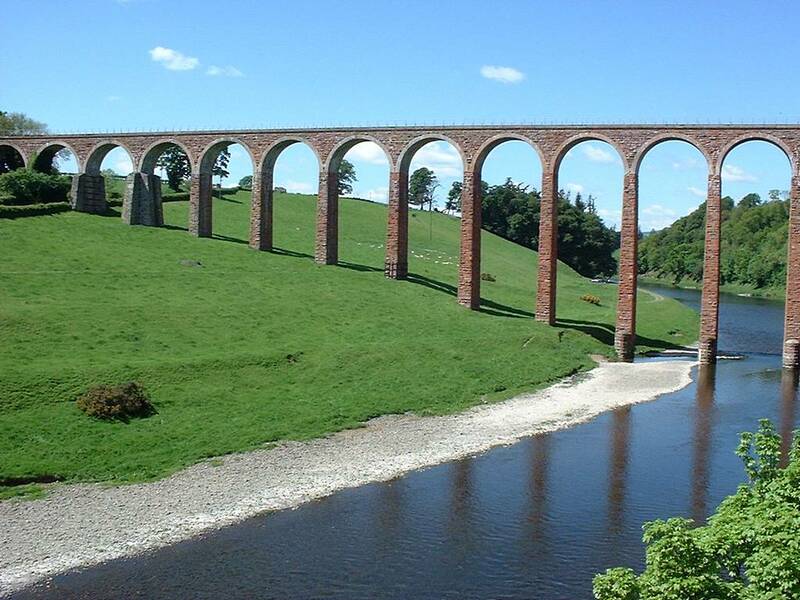 This magnificent 19-arch structure allowed the Berwickshire railway to cross the River Tweed. The bridge was opened in 1865 but the line closed in 1948 and it was destined for demolition. Historic Scotland stepped in to save it and it is now a Grade A listed monument.